Online shopping store of Telebrands Pakistan introduce a brand new ice crushing machine for our fun food lover customers. 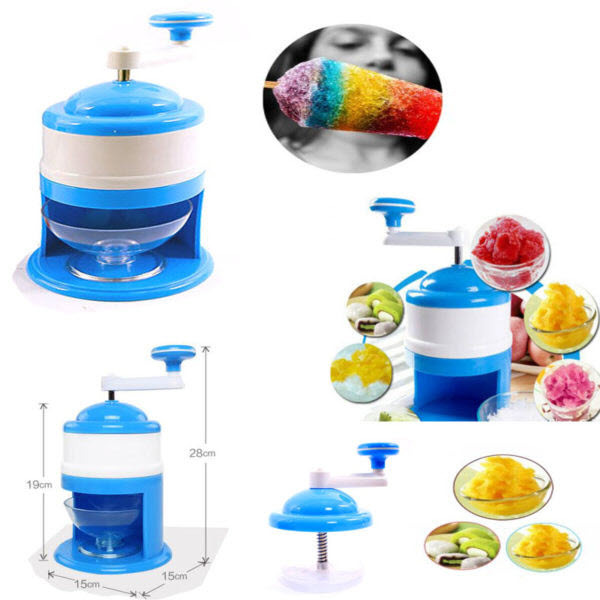 We introduce this new product at the start of summer, so that our potential customer can take full advantage of summer by making snow cone, slush and cocktail in their home in mints. Ice snow making machine is portable and light weight and can easily be stored in your kitchen. This machine is ideal for outdoor parties, dinner, barbecue parties and picnic parties. Body of this unique, handy and non electric machine made with good food grade quality plastic and blade with food grade quality Stainless steel that made this blade rust proof and easily washable. It also has rubber pad at the bottom so that this ice crusher can maintain its position while spinning. 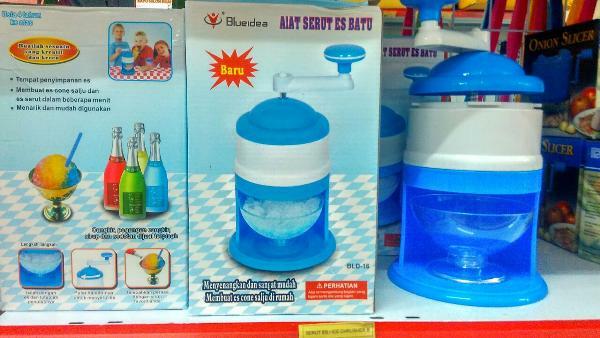 Ice crusher / slush maker comes with 3 bowls. You need to pour water in these bowls and place it into the freezer to make ice. Once ice is ready then extracts this ice from bowl and place it into the slush making machine and cover the same with lid that comes with spring fitting and then rotate in clock wise direction by exerting downward pressure. Now rotate the handle in clock wise direction to convert hard ice into soft and fluffy snow that can be used for slash, gola / snow cone and cocktail. 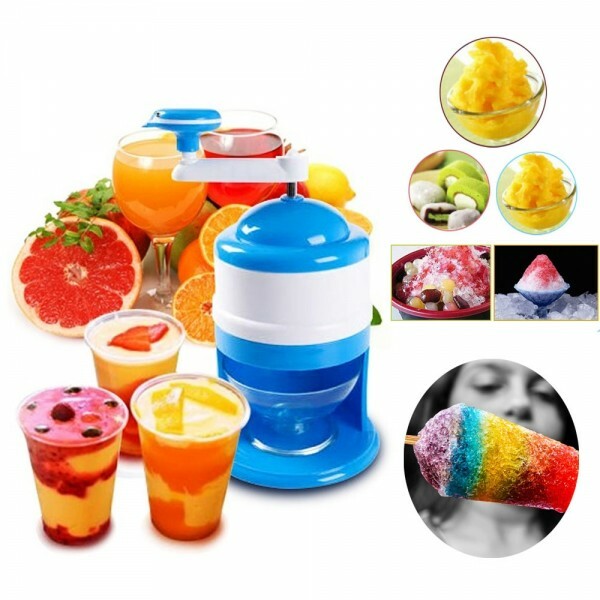 You can make ice gola, slush, cocktail and other cold deserts with this machine.